Mr. Fabiani’s success in crafting and executing strategic plans for his clients is based upon the skill of his firm and his direct, professional experience as the Republican Staff Director of a U.S. House of Representatives Appropriations Subcommittee. In that capacity, he had responsibility for federal spending in annual appropriations in excess of $330 billion for all federal programs in the U.S. Department of Labor including all training programs; the U.S. Department of Health and Human Services including all federal biomedical research through the National Institutes of Health, and healthcare policies and procedures affecting hospitals, medical centers and medical insurance; and the U.S. Department of Education including education policy, all federal support for educational facilities development and educational technology. Prior to founding Fabiani & Company, Jim Fabiani was the Chairman and CEO of Cassidy & Associates, the country’s largest Government Relations firm. Mr. Fabiani joined Cassidy & Associates as one of its initial employees. During his tenure, Cassidy & Associates grew from three employees to over 300 and from less than $1 million to over $60 million in annual revenue. Mr. Fabiani is a graduate of Harvard University where he sat on the Harvard University Development Board. 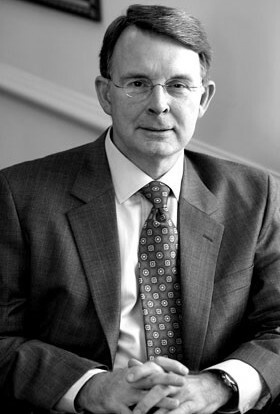 He is a graduate of Andover Phillips Academy and was a member of the Academy's Development Board. Mr. Fabiani served for many years on The World Board of Governors of the International USO, the U.S. Department of Defense’s civilian organization dedicated to the support of families of American military personnel worldwide. Mr. Fabiani currently serves on the Trine University Board of Trustees.